This is a short little snippet taken from my smartphone. 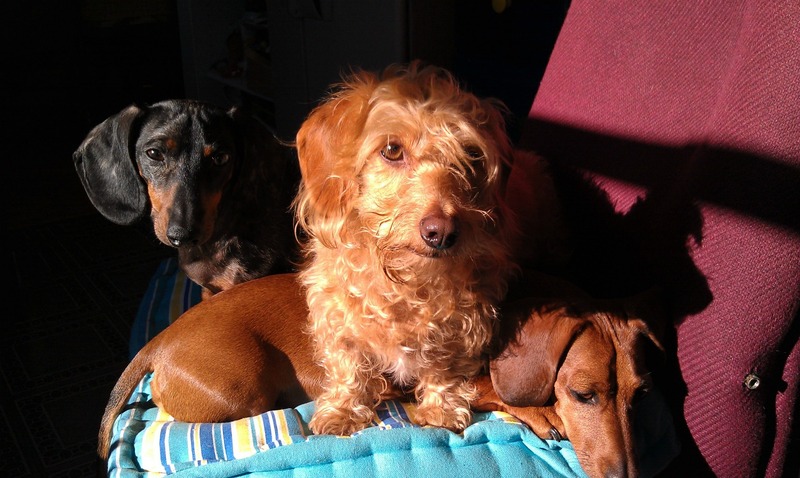 Walking with 5 Dachshunds is everything you might suppose it to be, chaotic, yet fun. There is a great trail we love to take the dogs on that is on a ridge that's perched above the Hudson River, has some awesome views. The dogs love it too, but for them its all about the smells. 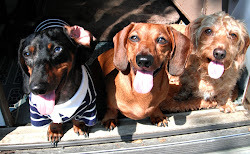 When we have just our three dogs we often let them off leash, but on this day my daughters Dachshunds are along so we figured it was better to keep them tethered.